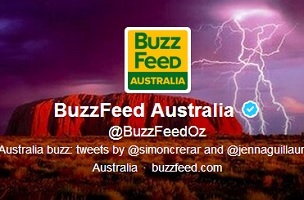 When BuzzFeed first formalized its plans to expand past the UK and into the glorious Down Under, EIC Ben Smith suggested that “Australia — with its humor and beauty and sense of the absurd and love of the social web — is basically BuzzFeed Nation already.” Probably true; and now that January 31 has rolled around over the distant international horizon, we can all start determining if Smith was correct with his optimistic assessment. 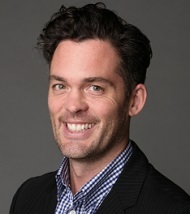 At the helm of BuzzFeed Australia is Simon Crerar (pictured), formerly visual story director for News Corp Australia. Together with staff writer Jenna Guillaume, he curates the site’s Twitter feed – @BuzzFeedOz – and the pair have been teasing some early looks at content. Everyone remembers his bravery in the face of adversity, like that time he ate the world’s hottest pie. Ha ha. So far, looks like Smith was right on the money. To check out more of BuzzFeed Australia, click here.